The University of Toledo Ritter Planetarium is showing “The Alien Who Stole Christmas” and “Santa’s Secret Star” in full dome for children throughout the holiday season. “The Alien Who Stole Christmas” is featured at 7:30 p.m. on Fridays through Dec. 21. 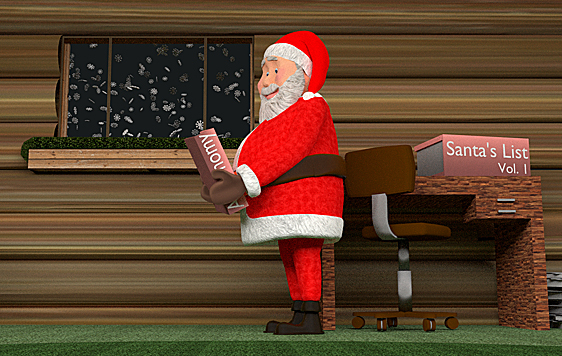 “Santa’s Secret Star” is shown at 1 p.m. Saturdays through Dec. 22. “These are amusing, entertaining and educational programs for children and Santa fans of all ages,” Alex Mak, associate director of UT Ritter Planetarium, said. “Santa’s Secret Star” is a story about Santa and Rudolph learning how to find their way back to the North Pole using constellations. After Santa finishes his Christmas deliveries, he and his reindeer become lost. Without a compass, he and Rudolph turn to the constellations for help, and the stars lead them to the North Star, which guides them home. “The Alien Who Stole Christmas” tells the story of Santa meeting Mr. Freep, an alien from another world. Together, they head off on a cosmic adventure taking them to the farthest regions of the solar system and try to make it back in time for Santa to deliver toys to the children of Earth. Admission to the programs is $7 for adults and $5 for children, senior citizens and UT community members. All children younger than 4 are free. Doors will open 30 minutes prior to the show. This entry was posted on Thursday, December 6th, 2018 at 3:56 am and is filed under Events, News, UToday .